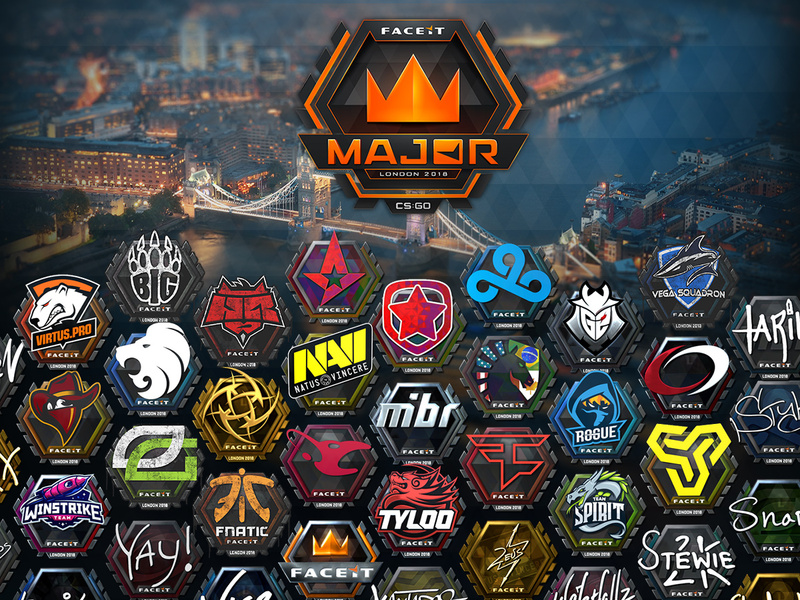 Join us on September 5th for the FACEIT London Major, where twenty-four teams will compete over the course of three weeks to become the next CS:GO Major Champion! The Major begins next week, but you can start supporting your favorite teams and players today. Team stickers, player autographs, and team graffiti are all available for purchase in-game, from the Steam Community Market, and from the Mega Bundle on Steam. 50% of the proceeds go to the players and organizations taking part in the FACEIT London Major. Team Stickers can be used in the London 2018 Pick’Em Challenge. Earn points toward a Pick’Em Trophy by picking the best (and absolute worst) performing teams in the Challengers and Legends stages, and by building your bracket for the Playoffs. Watch the tournament to see how your picks turned out! The FACEIT London Major will be viewable on a wide range of platforms, including Twitch, Youtube, in-game via GOTV, and the new Steam.tv. For the first time, viewers will be able to watch the Major via GOTV even if they don’t own CS:GO–later today, CS:GO will be freely available for offline play and GOTV viewing by installing “CS:GO – Free” from the Steam Store.